Why Do Most Of The Merchant Cash Advance Companies Fail? and What to do about it..
https://localmarketingstars.com/wengine/wp-content/uploads/2017/06/local-marketing-stars-e.png 0 0 Oguz Konar https://localmarketingstars.com/wengine/wp-content/uploads/2017/06/local-marketing-stars-e.png Oguz Konar2017-06-19 20:49:352017-08-14 15:10:41Why Do Most Of The Merchant Cash Advance Companies Fail? 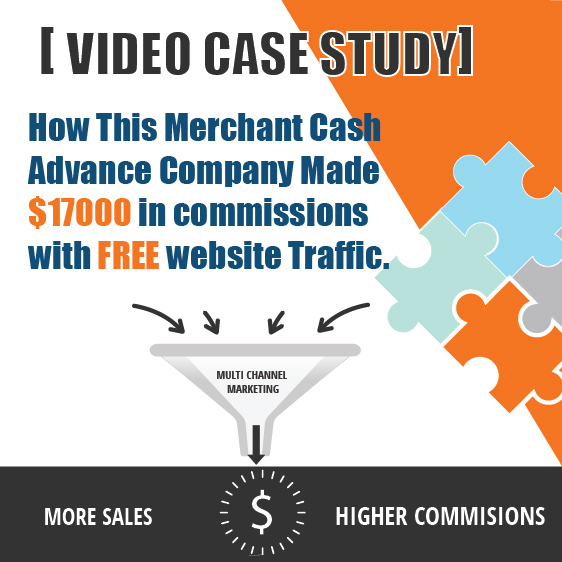 and What to do about it..
How This Merchant Cash Advance Company Made $17000 in commissions with free website Traffic. https://localmarketingstars.com/wengine/wp-content/uploads/2017/06/local-marketing-stars-e.png 0 0 Oguz Konar https://localmarketingstars.com/wengine/wp-content/uploads/2017/06/local-marketing-stars-e.png Oguz Konar2017-06-18 21:02:272017-06-19 21:03:12How This Merchant Cash Advance Company Made $17000 in commissions with free website Traffic. 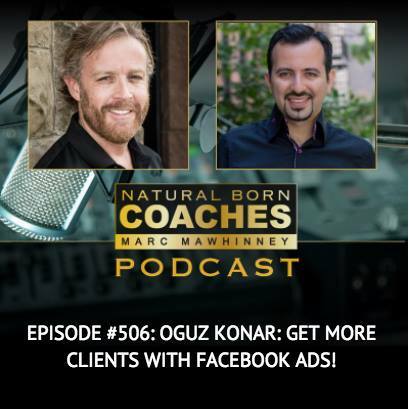 I am Oguz Konar from Local Marketing Stars. I would like to walk you through a case study that we had with one of our clients who generated more than $17,000 in commissions from the organic leads they got on their website. They turned two of those organic leads into sales, where one turned out to be a $100,000 funding deal. In total, they made more than $17,000 from the organic efforts. What does “Organic Marketing” mean anyways? And Why it’s kind of a big deal? I want to walk through how it works while explaining what organic marketing means. Many companies in cash advance industry are not familiar with the term and utilize it yet. In my previous recording, I introduced the concept of multi-channel marketing for the cash advance industry. I walked everyone through the funnels and I received a lot of questions about the final part, which is the organic lead generation. From the chart I showed you, you are familiar with the first three funnels which are basically paid advertising, especially when you’re starting out and you need to get more clients under your belt so you have revenue coming through the door. Because in business sales are above all else. You got to bring sales to the door in order to survive. The pay per channel is one of the best routes to go for merchant cash advance industry specifically. 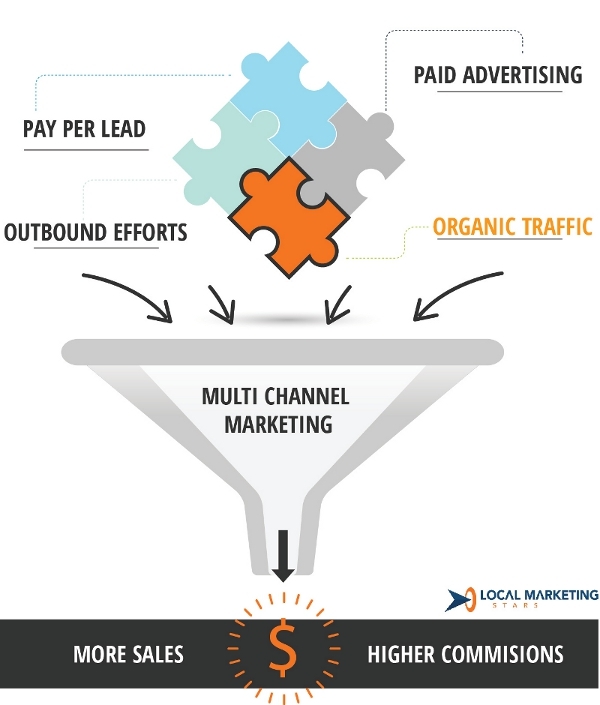 As you grow your business, instead of buying leads and paying per lead, you should have your own paid advertising system, either managed internally or hire a company who has experience dealing with companies in the merchant cash advance industry or business lending industry and have them manage this funnel so you can have your own lead flow coming in daily. But the place you want to be, where there’s a huge opportunity for merchant cash advance business is the organic traffic funnel. If you have time, please watch my previous video where I talked exclusively about this subject. In today’s video, I want to talk about this area in relations to the case study. We’ve been working with this client for a while and we’re doing many things for them on marketing. Our main focus for the client is to build a strong online presence of the company through the search engines, such as Google, Yahoo, Bing and other platforms that people use to search for information, or looking for solutions to their problems. A lot of merchant cash advance companies do not realize that every month there are more than 540,000 searches made by people who are looking for loans, cash advance loans, business lending, or working capital. This is distributed across more or less ten keywords or different phrases they use to define their needs, which boils down to the same thing: they need loans and they most likely cannot qualify through the bank. These are the people that you can actually help however nobody is tapping that opportunity. 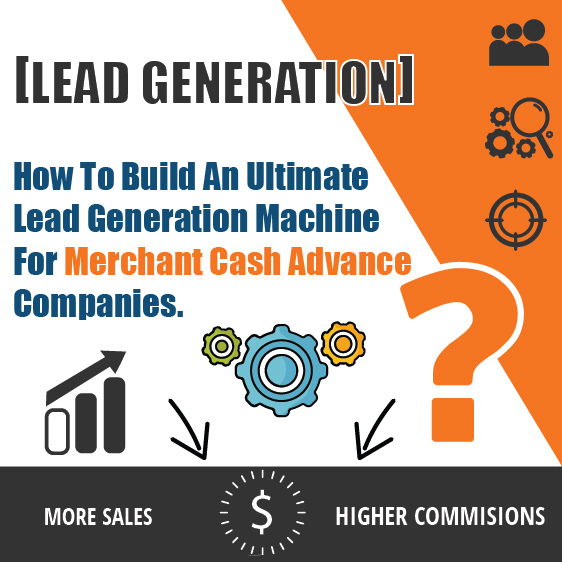 It’s a huge potential in organic SEO for Merchant Cash Advance companies, but what I saw was most of these cash advance companies were running to the opposite way and prefer to work with companies who are selling leads from an old beat-up UCC contact lists or telemarketing lists they’ve been calling on for the past four years, and try to generate leads through that method. Yes, this method works too but on the other hand, you also have a low-hanging fruit of people who are willing and able to use your services. Only small numbers of top companies are aware of this and taking advantage of the massive amount of leads, which then made the smaller players thinking why is it not working for me? Why do most MCAs go out of business within the first year? 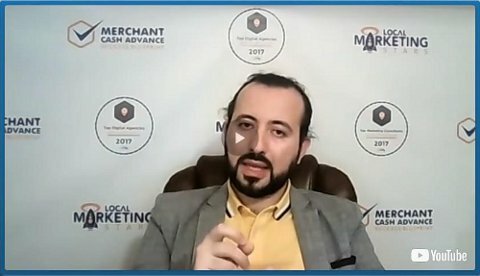 As I mentioned in my last training, merchant cash advance industry doesn’t have a great reputation, their turnover rate is really high. More than eighty-five percent of the companies who start out as merchant cash advance company go bankrupt within the first year because they don’t have a proper marketing budget and system in place. When they do get the leads, they don’t know how to handle those leads because they don’t have a proper follow-up process. What you must always remember is that to be successful in closing deals, it’s not enough to just be a great salesperson, there is also a system that you have to follow. It is also important for you to have a strong online presence through search engines because your potential customers would like to know more about your company. They would do their due diligence using the search engines. I’ve dealt with many companies who have been in the industry for more than five years but didn’t pay attention to their online presence. Their websites are not mobile optimized, which means their website cannot be viewed on a mobile device, and this is a problem because 76% of the searches come from a mobile phone. So if someone miraculously manages to find you online they won’t be able to take action on your website. Because even though you have accomplished one of the biggest hurdles which are bringing people to your site, then the second part is your site should be attractive enough for these people so they take action on that website, that’s the goal! But for many of them, that’s not the case. If it is not mobile friendly and people cannot navigate on your site, they won’t apply. The third part is there is no clear ‘Call to Action’. Many websites say “Apply Now”, but when I click on it, I have to fill out a five-page application in order to get a quote. As a business owner, I understand that’s what you want them to do, but unfortunately, the market is ruled by the decision and desire of the consumer, and they’re not ready to commit at that level just yet, so you have to try to get smaller commitments from them. This is a common marketing strategy that works in any industries, you start by getting smaller commitments from your potential customers before selling your twenty thousand dollar product. Your customers’ first smaller commitment would be clicking your landing page after they found you on the search engine. When they land, instead of asking them to fill out a four-page application for the next bigger commitment, you provide a short form with five or six questions and ask them to fill that out. After the potential customers completed the form, you or your team must immediately work on the data and complete the application for them. This way, the customers will not have to deal with the hassle and you still get the data you need to close the deals. There is a way for you to get ranked higher on Google. Many merchant cash advance companies that I have met in the past think that this strategy is only for the biggest players who have an unlimited budget for marketing. It’s true that you can buy your place on the top of the search engines by Google Ads, but a lot of people also prefer finding you organically rather than choosing the paid ads companies. The customers prefer to ignore the top searches and scroll down to look at what else is going on. With that large search volume, you don’t really need to be on page one. Even if you are on page two and three you can still get a massive amount of leads. 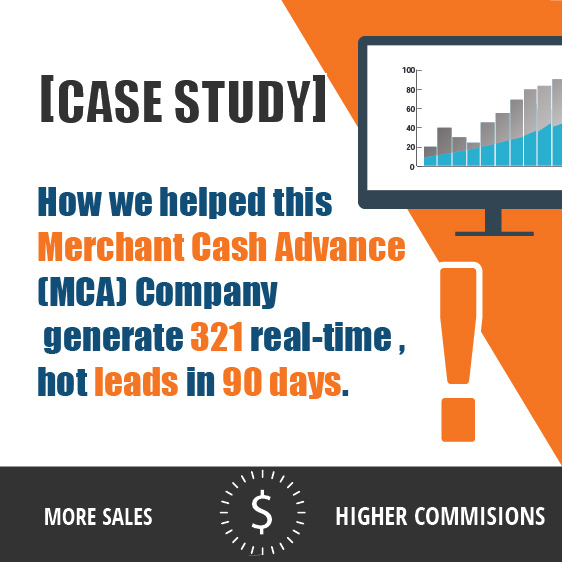 42 Hot, Glowing Organic Merchant Cash Advance leads under 45 days?? The same case happened to our client. We just started doing search engine optimization for them by working on their website to get them ranking on different search engines. At the time, they were nowhere near page one but within one month they received 40 to 42 leads, which means more than one lead a day in just one month of work. Normally, this optimization work takes three to six months and then you have to maintain your spot. Fortunately, with the high volume of search, you can see the massive results within the first 30 to 60 days of optimizing work. Does SEO really work for Merchant Cash Advance Industry? Learning from this case study, I highly suggest every business owner who has not considered this or thought that it won’t work for your business to consider it again and work with someone who has experience of working with the companies in your industry. This is important because it can get complicated and you don’t want to be misplaced on Google. You don’t want to work with a company that practices SEO ‘tricks’ that are not in line with Google’s guidelines where you or your account could be banned for violating the regulations. This video is made to explain how and why the receive these free leads which are very valuable. To do this you need a solid marketing system as I mentioned the last video that pays for itself. You need to optimize your website to a level where it can bring you a couple of hundred leads a month. The deals you’re closing from those leads will pay for your paid advertising. I’m not suggesting you stop your paid advertising, but you must create a system where this funnel here will pay for the rest. Is it possible to get leads without having to purchase them or hit the phones all day long? With this system, over time you’ll be spending zero dollars on marketing because the whole system runs itself (of course you still want to spend money on marketing for more leads, but at least you will have the option) . The system will be very valuable for your business. This is how bigger companies get to the level where they are now because they have a marketing system in place. It’s not just a ‘spray and pray’ or one-time trial thing to test the water. If you’re committed to growing your business, definitely look into search engine optimization and it will work wonder for your business. So that was my message. If you have any questions or comments or feedback let me know. If you’re interested in learning about our program on how we can help cash advance companies or business lending companies rank higher so you can have access to high-level clients and leads like our clients, do get in touch with me and we’ll have a conversation. https://localmarketingstars.com/wengine/wp-content/uploads/2017/06/video-case-study-merchant-cash-advance.jpg 810 1978 Oguz Konar https://localmarketingstars.com/wengine/wp-content/uploads/2017/06/local-marketing-stars-e.png Oguz Konar2017-06-05 22:10:472018-08-21 14:41:49[Video Case Study] How This Merchant Cash Advance Company Made $17000 in commissions with free website Traffic.